Complete this form to request a quote | A representative from Lone Star Roofing will respond within 24 hours. Thank you for contacting Lone Star Roofing, a representative will contact you shortly. Lone Star Roofing has been providing roofing and exterior services in the Houston area. We are certified, insured and bonded. 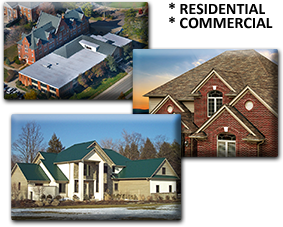 We specializing in residential, commercial roofing and exterior services. Our residential roofing and exterior technicians are certified and trained in all the latest techniques and products. This knowledge sets us apart from other fly by night roofing and exterior companies who are less educated and take chances with your home. Don't let your home be their education. Educate yourself, make sure your roofer is certified and insured. Having a certification means you have been properly trained are are enrolled in a continuing education program regarding roofing and exterior products improvements and technique modifications. Do your diligence. It's your home, make sure you are protected with quality workmanship as well as top of the line products and warranties. Our website is designed to allow you to qualify our company, review our certifications, research services and review products and warranty options before you even contact us. This "pre selection" process saves time and provides our estimators and home assistance specialists the information needed for your initial quote. Quick Tip - Print or save copies of our warranty information for your records. Even if you do't do business with us, keep them as a standard to hold against other contractors being considered.